Cable companies want to slow down (and break!) your favorite sites, for profit. 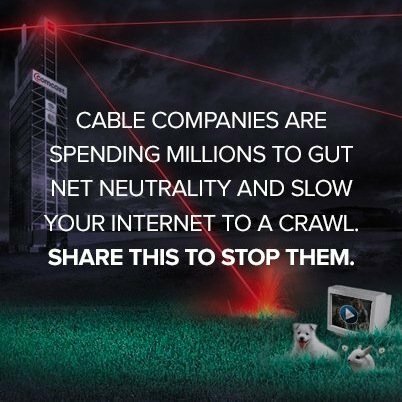 To fight back, let’s cover the web with symbolic “loading” icons, to remind everyone what an Internet without net neutrality would look like, and drive record numbers of emails and calls to lawmakers.